Do you remember the old television show “Mission Impossible”? It is somewhat the same in the new movies with Tom Cruise, but I in the old TV show, the secret agents would get a digital message from his boss which always began with a certain phrase. Do you remember what that phrase was? In Jonah 3, we are going to see a modified version of this popular quote. I was introduced to this modification by my junior high physical education teacher, Mr. Obannon. He used to be a drill sergeant in the Army and he would line us all up military style every day, and with his clipboard in hand, yell out in his best Sergeant voice “Your mission, should you decide to accept… and you all will.” And believe me, we all accepted the mission that day — whether it was running, or push-ups and sit-ups or weight lifting. We accepted the mission because in reality, we had no other choice. With Mr. Obannon, there was no possibility of deciding not to accept his mission. Jonah finds himself in a similar situation with God. God gave Jonah a mission, and Jonah tried to decline the mission, but God would not let him. God’s will in this mission is sovereign. He is in perfect and complete control, and he will not allow some patriotic, Jewish prophet to keep Him from performing what He wants to do. In chapter 1, we saw Jonah trying to run away from God. But instead, in chapter 2, we saw Jonah running smack into God. Today, in Jonah 3, we are going to see Jonah running with God. Remember, while Jonah is about missions, it is not the main focus of the story, nor is it about missions in the way that most of us think. To discover what the lesson might be, we need to look at the story as a whole so that we can discover the lesson God wants us to learn from Jonah. So let me review what we have seen so far. We learned that Jonah was a popular prophet in Israel, and it was a good time for Israel. We saw that the only problem during this time was that Israel had a rival country off to the east. 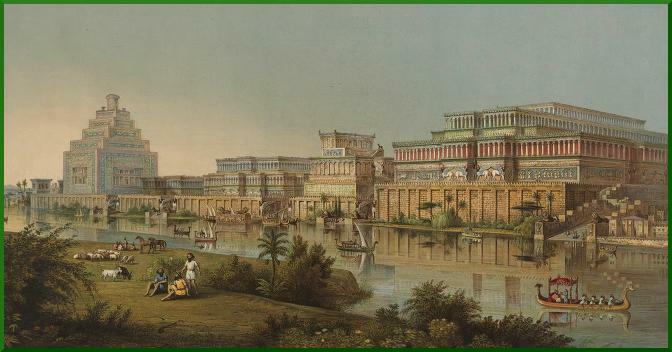 This rival was Assyria, and the capital of Assyria was Nineveh. 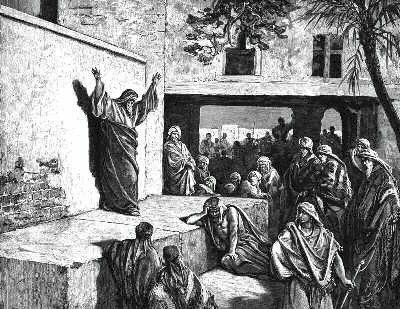 Nineveh was a very wicked city, and God asked Jonah to go preach to it. Now normally, a prophet would be overjoyed to do such a thing, because throughout the history of Israel, God had shown that if a nation was wicked, it would be destroyed. So Jonah should have been overjoyed to go. But instead, he went the opposite direction, to Tarshish. We had to wonder why. This was our first unanswered question. Why would Jonah not want to preach fire and brimstone to Nineveh, the very people he despised? Whatever the reason, God doesn’t take disobedience too well, so He sent a storm that about sunk the ship. While Jonah was sleeping while the sailors were praying, and we saw that it seemed to us that Jonah wanted to die. As it turned out that the sailors threw Jonah overboard, certain that Jonah would die. Did Jonah get his wish? Did he die? We learned from the last verse in chapter 1 that he did not. He was swallowed by a fish and left there for three days and three nights. Chapter 2 contains the prayer of Jonah, and while on the surface appears to be quite spiritual, it was in fact selfish and shallow. Rather than repent and turn to God, Jonah focused on his own self-righteous needs and looked with disdainful judgement upon the heathen Gentiles. We wanted Jonah to repent, but he did not. And yet God continued to protect Jonah and let him live. And so we get the idea that God was trying to teach Jonah something, but the story doesn’t tell us what yet. This is a repeat of Jonah 1:1. In chapter 2, we listened in on Jonah making other plans. He prayed that since God has spared his life, he would go to Jerusalem and offer sacrifices to God there. But this is not what God wants. God wants obedience from Jonah, and reminds Jonah here that there is undone task God has asked of Jonah. There is an incredibly important lesson in verse 1. As Christians, God frequently asks us to do things that we don’t really want to do. And so, like Jonah, we head the other direction. Storms of life may come, but more often then not, God allows us just to continue down the path away from obedience. But there comes a day when, like Jonah, we want to return to God, and worship Him, and be used by Him. Or maybe, we realize that God is not really at work in our lives anymore, and so we start praying for God to work in and through us. As a pastor, I talked with so many Christians who wanted to be used by God. They wanted to hear from God. They wanted God to give them direction in life. But they were not doing the plain and simple things God had already revealed to them and asked them to do. They were not reading their Bibles. They were not praying. They were not attending church. It was different for every person, but obedience with God is like running hurdles in track. You have to get over each hurdle in order, or else you are disqualified in the race. This is slightly different than what God had told Jonah previously. In 1:1 God tells Jonah to preach against the city, because of its great wickedness. Remember, that gave us idea that God was maybe going to destroy the city, because normally in OT times, God destroyed sinful nations. Here, God simply tells Jonah to go and preach to Nineveh the message he will give him. This is significant, because it is intended to prepare the reader for the surprise ending to the story. This is foreshadowing. Up until now, we have been thinking (because we do not know the rest of the story) that God has been intending to destroy Nineveh. Now we begin to have our doubts. Maybe God does not want to destroy Nineveh. Maybe he has something else in mind. As a side note, this type of call is quite rare in OT times. Nearly every mission call in the OT is to the nations surrounding Israel to “Come and See” what God is doing. Here, as is more common in the NT, God commands Jonah to “Go and Tell.” Too often, in modern America, we think it is enough to come to church and bring our unsaved friends with us. But that is an OT way of doing things. The church is primarily for the training, equipping and encouraging of believers, so that they can go and tell. When a church adopts a “Come and see” mentality, as many of the “seeker sensitive” churches today have, they are not becoming what Christ intended his church to be, and not doing what God wants. This is probably why so many churches are drowning today, because we are running away from God when he tells us to Go and Tell. Are you here today to learn about God and draw closer to Him? That is good. But if that is all you do with it, you are not fulfilling God’s mandate to the church. Take what you learn, and go and tell others what you know. Jonah has learned from his ordeal in the fish, and it is a lesson he does not have to learn a second time. God told him to go, and in Jonah 3:3-4, we see that he goes. Jonah went to Nineveh as asked, and proclaimed the message that God gave him. Now we don’t know all the details, and we presume that there was more to Jonah’s message than these eight words (5 in Hebrew), but if this is the summary of what he said, notice that it is far less than the message he gave the sailors. Jonah does not even let them know which God it is that is going to overturn them. He told the sailors at least that it was the LORD (remember, LORD in all caps means YHWH?) (1:9-10). Here, he just tells them the bare minimum. Forty more days and you are all going to die. Maybe Jonah hopes that by giving them the bare minimum message, they will be destroyed. The sailors knew only a little and they responded. What will the people of Nineveh do with even less? Maybe an ever bigger question should be what will Jonah do with all the knowledge he has of God? Another way to translate it is “overturned.” Jonah intended it to mean that in forty days, Nineveh will be destroyed and annihilated. It is used this way of Sodom and Gomorrah in Genesis 19. But another prominent way it can be used in Scripture is with the meaning of “to be turned” as in “to be turned from their ways” or to become something new. God turned the hearts of the Egyptians (Ps. 105:25); God turned the sea into dry land (Ps. 66:6), and God turned Balaam’s curse into a blessing (Dt. 23:5; Neh. 13:2), and sadness into joy (Jer. 31:13). Jonah probably was thinking that Nineveh was going to be destroyed, but here, we see that in the message God gave him to speak to the Ninevites, there is another possibility. This is again a foreshadowing of what is going to happen. Also, this shows that Jonah’s prophecy came true as well. Nineveh does turn, but not in the way Jonah had hoped. Well, in Jonah 3:5, we see the response of the Ninevites. Jonah 3:5. So the people of Nineveh believed God, proclaimed a fast, and put on sackcloth, from the greatest to the least of them. The Ninevites believed God. Jonah was the one speaking, but we see that it was the message of God that he was speaking. They responded from the top down, from the greatest to the least. In 6-9 we see how it started with the King. We see that even the King of Nineveh responded to the message of God. Let neither man nor beast, herd nor flock, taste anything; do not let them eat, or drink water. But let man and beast be covered with sackcloth, and cry mightily to God; yes, let every one turn from his evil way and from the violence that is in his hands. Who can tell if God will turn and relent, and turn away from His fierce anger, so that we may not perish? The king calls for national repentance. Not only does he want all people to fast and pray and call urgently on God, but he even wanted the animals to fast as well. In the Ancient Near Eastern mindset, it was possible for animals to sin as well as humans. In fact, even in Scripture, there are instances when an animal should be put to death for its actions (Ex. 21:28-32; Ecc. 3:21 indicates animals have spirits, but, in contrast to human spirits, they cease to exist after death). The repentance here is genuine. It is not just a “Yes, we are sorry for what we have done!” but it is a call to give up their evil ways and to turn from their violence. Genuine repentance is to change one’s way of living. Their hope is that God will yet relent and turn from his anger upon them. It is a serious revival when the leader of a nation repents before God and calls everyone to repent as well. In fact, generally, the pattern of the OT is that a nation follows God or falls into sin because of where the King leads them. It is the same today. Leaders often think that they are “just giving the people what they want” but in reality, a leader makes a nation what they are. And often, a nation becomes like its leader. In this case, it was the King that led the nation in repentance before God and commanded that there be fasting and praying. This is no excuse for you, however, because each of us is a leader in one way or another. We may be the leader in our family, or the leader of our children, a leader at work or at church, or in our community. Leaders lead not only in vision and direction, but in repentance and holiness. The King was doing the right thing here, even though he knew so little. Again, we see that Jonah did not even give them the courtesy of knowing WHO was going to destroy them because they do not call out to the LORD as the sailors in chapter one did (Jonah 1:14). Well, God sees their repentance, and that they are turning from their wicked ways. Jonah 3:10. Then God saw their works, that they turned from their evil way; and God relented from the disaster that He had said He would bring upon them, and He did not do it. Well God did in fact see that they were genuinely repentant. They were more than just sorry; they turned from their sin. So God responded and did not do what he had threatened. A lot of people have trouble with this verse for two reasons. First, because God changed his mind (NRSV) about what he was going to do. They do not see how God can change his mind in response to human action. Now I don’t want to get into all the theological intricacies here, but it can be seen throughout Scripture that while God is in complete control and has a definite goal in mind that will absolutely come to pass, he somehow is still free to be able to respond to humans in such a way that makes them responsible for their actions. This does not put man in charge, and this does not make God dependant upon humans. But while God does have a goal in mind, there are multiple paths he can take to reach that goal. That is what we are seeing happen here. The second is that it seems that the prophecy of Go that He would destroy Nineveh did not come true. But as we saw before, it did come true if we understand the word “overturn” as “to turn from their ways” rather than to destroy. Some argue, however, that this is simply playing with words. Jonah understood it as being destroyed, and the people of Nineveh understood it as being destroyed. And Nineveh was not destroyed. But even then, the prophecy did come true. As you may or may not know, there is no city of Nineveh today. God overturned Nineveh twice. He did it here in a way that no one expected, by turning them from their sin. But, just as is human nature, it was not long before they returned to their wicked ways, and about 100 years later, a prophet by the name of Nahum arose in Israel, and he too pronounced judgement upon Nineveh. Well Nineveh did not turn to God in repentance this time, and so God destroyed Nineveh in 612 B.C. Jonah’s prophecy did come true. Maybe not when he would have preferred, but God ultimately fulfilled Jonah’s prophecy that Nineveh would be overturned. And this is all we hear about Nineveh in the book of Jonah. Why? It is primarily concerned with someone else in the story. While God does love Nineveh and desires that all the people there turn from their wicked ways, in this story, God is working with another purpose in mind, and to reach that purpose, He wanted the whole wicked city of Nineveh to repent. It is like in Genesis when God caused a huge famine across the Middle East so that he could get one family down to Egypt. Here, God caused 120,000 Ninevites to repent so that he could work on something else completely. What is that other purpose? We will see it in chapter 4. It is there that we will get all of our questions answered. We will see why Jonah was running from God. We will see why Jonah would rather die than obey God. And we will see what the mission of God is in the book of Jonah. Are you at a place like that in your own life? Is there something in your life that you know is not pleasing to God? Is there a hidden sin or hidden rebellion that God has been putting on your heart recently? Do not test God’s patience. He is very patient and compassionate, but repent and turn to him for forgiveness before it is too late. He will forgive you and let his love be known to you.